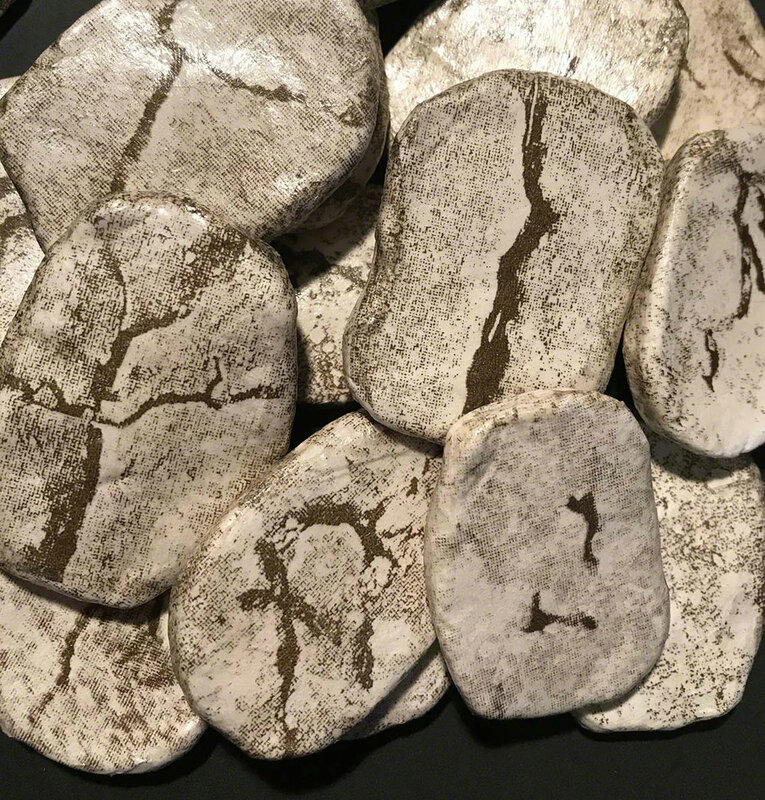 This set of runes is made from photographs that I have taken of cracks in the dry earth during the drought. To me, the marks in the earth resemble an ancient form of divination called the Viking Runes and can be used to divine a portentous message about climate change and our own fortunes. For deeper research into rune casting see Ralph Blum's excellent book, The Book of Runes: A Handbook for the Use of an Ancient Oracle. The entire text can be found here and a quick reference is below. For a list of ways to save water look here. Be water-wise. For example, one person can save 10 gallons of water a day by just turning off the water while brushing their teeth! Below is a quick reference to using "Drought Runes" in person. To choose a rune, concentrate on the issue at hand with care. This could be something in your own life, or in the world. Reach into the bag and let the runes slide across your fingers while thinking upon the issue. When a rune seems to "stick" to your finger, pull it out and lay it down. Consult the book to match a number to the image on the rune. If it is blank, turn it over as if you were turning the pages of a book taking care to keep the orientation intact. There will be one rune that is blank on both sides (No. 25). Look at the list below for a quick interpretation. Click here for a deeper reading.